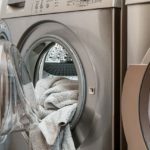 →Does Lysol Kill Dust Mites? Dust mites are a common problem in many homes, including mine. You couldn’t sense their presence visually. But the endless sneezing, coughing, runny nose, and teary-eyed are sure indications that you have millions of them in your home. In a desperate attempt to kill dust mites, you may grab a disinfectant spray like Lysol, and applied it over the mattress, carpet, curtains, furniture and other possible breeding ground of dust mites. But does Lysol kill dust mites? Or perhaps equally important, does it cause harm to humans and pets? The Lysol brands include a range of disinfectant products manufactured by the Reckitt Benckiser company. The products include the popular Lysol spray, disinfectant wipes, multipurpose cleaners, bathroom, and laundry cleaners. 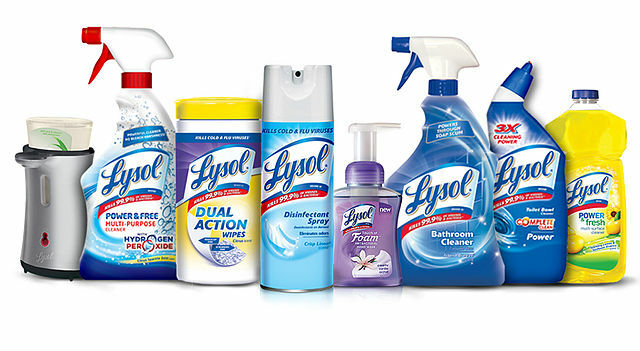 As a brand established since 1889, Lysol products are commonly used by families in the US. Lysol spray is marketed as a disinfectant, which is effective in killing viruses, bacterias, and allergens. Where Can You Buy Lysol Spray? You won’t have difficulty in buying Lysol sprays as they are a popular household item. You’ll usually find them in local grocery stores. Or you prefer to shop online, you can get Lysol at online retailers like Amazon. What Is Lysol Spray Made Of? A typical Lysol spray would claim that it kills over 99.9% of viruses and bacteria. This makes it a pretty lethal disinfectant that eliminates allergens and other microorganisms that cause illnesses. It’s worthy to take a look into the ingredients that are used to produce Lysol disinfectant sprays. You can check it out at the website of the parent company that owns Lysol here. Looking up Lysol Disinfectant Spray – Crisp Linen will provide you a list of the following ingredients. The company claims that the ingredients are listed in descending weight percent. As a disinfectant spray, there’s no doubt in the effectiveness of Lysol spray in killing dust mites. Various users have reported that allergy symptoms have reduced after spraying Lysol. Lysol is an effective disinfectant to get rid of dust mites in your home. You can do so by using Lysol spray as part of your cleaning routine. Follow these steps to clean surfaces in your home with Lysol. Vacuum or wipe the surface that you want to clean to ensure they are free of dust. Use Lysol spray to wet the surface. You’ll want to ensure the disinfectant droplets covered areas where you suspect the dust mites may be hiding. Leave the sprayed area to dry naturally. 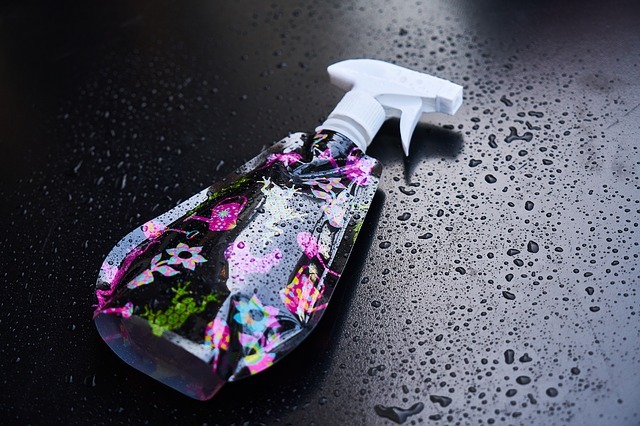 Use a wet cloth to wipe any residues off the surface. This is important if you’re spraying on toys or any other items that may come into contact with children. Is Lysol Safe For Humans And Pets? Lysol is great for eliminating dust mites, but as a concerned parent, how safe is Lysol for humans? I have to admit, that most of the ingredients listed on Lysol do not sound organic or natural. And it does strike the worry chord when the thought of using Lysol at home in the presence of children and pets. This prompts me to research on each ingredient and find out if they are harmful to human. Ethanol is actually alcohol, which can be dangerous when inhaled in large amount. Both butane and propane are forms of hydrocarbon and is harmful when inhaled. Ethanolamine is an organic chemical that gives of ammonia-like scent. It’s both corrosive and irritant. Alkyl (50% C14, 40% C12, 10% C16) dimethyl benzyl ammonium saccharinate may cause headache and nausea when inhaled. There’s a moderate concern on the effect of MIPA-Borate on developmental and reproductive toxicity. MEA-Borate is an irritant with low hazard risk. Ammonium Hydroxide, also known as ammonia water, is both corrosive and an environmental hazard. And if you check out the labels on a Lysol disinfectant spray, you’ll find that the precautionary statement states that it is a potential hazard to humans and pets. The safety warning also stressed that it may cause eye irritation and to avoid contact on the eye, skin, and clothing. You’ll also want to wash your hand thoroughly after using Lysol. Now, I’ll be fair and say that Lysol is an effective and reasonably safe product to kill dust mites as long as you’re following its instruction. With that said, I’m also a paranoid dad, who freaks out about anything chemical and potentially risky for my son. I’m that bad. And if you’re on the same page with me about going natural, you’ll want to consider using natural dust mite sprays. There are made of natural ingredients, such as eucalyptus or clove oil. While eucalyptus oil is a popular natural remedy in killing dust mites, clove oil is proven to be the most effective. You can make your own natural dust mite spray if you have time to spare. All you need is to fill up a spray bottle and add about 10 drops of clove or eucalyptus oil into it. Shake well and you’re ready to go busting dust mites with it. There’s no doubt that Lysol spray is effective in killing dust mites. In fact, it has saved many households the menace of dust mites and the accompanying allergies. But if you’re concerned about the chemicals used in the disinfectant, using natural dust mite sprays are always an option. Have you used Lysol in getting rid of dust mites? Does it work for you? Let me know in the comment below.